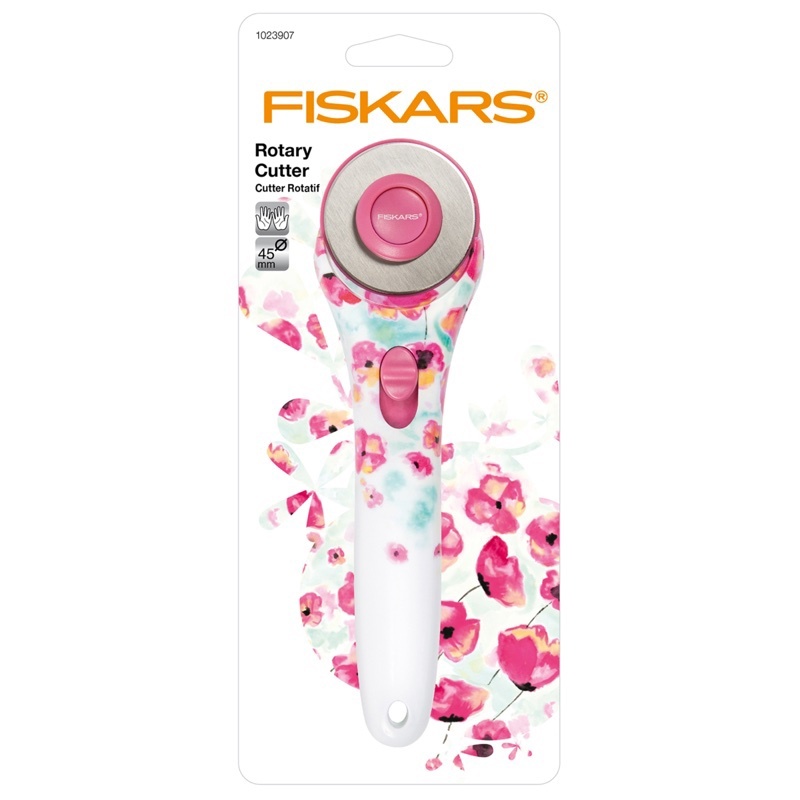 Rotary cutters are ideal for cutting through materials including multiple layers of fabric, paper, felt and vinyl. They’re also really handy for cutting fabric that likes to move and misbehave, such as jersey, silk or chiffon. You can use them left or right handed, without having to change blade. The long lasting, sharp 45mm blade has a safety shield and ensures a clean, crisp cut every time. 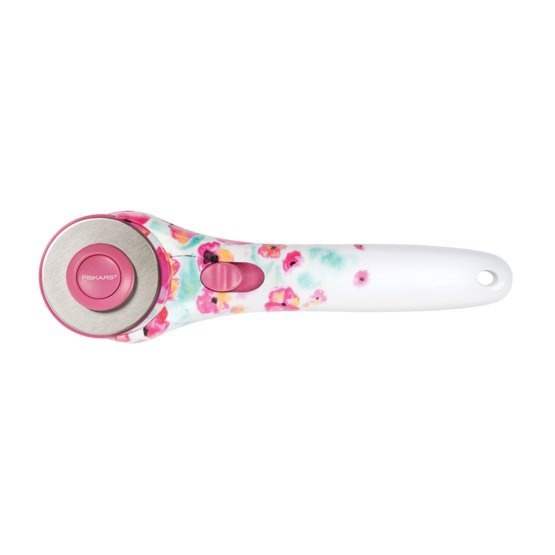 The pretty floral design will ensure your tools look as lovely as your fabric! We also sell the matching scissors here.